A workshop, with the participation of 18 companies and knowledge organisations, examined the main impediments to the installation of wells for water abstraction and for the subsurface storage of freshwater and energy. The main problems relate to obtaining the operational water needed for the well installation and to discharging the used water into surface waters or the sewerage system. Better scientific insight and innovative technologies are needed to continue installing high-quality wells. KWR and its partners will be setting up a joint research programme. The subsurface is being increasingly used for more and more purposes, such as the storage of freshwater and energy and for water abstraction. To achieve the Dutch ambitions with regard to sustainable energy and freshwater supply, the country will need to drill many more wells. But the legal and regulatory framework and a lack of technical innovations can act as impediments to the installation of wells. KWR organised a workshop to discuss with companies how we might address these impediments. On 16 June about 30 participants, representing 18 different organisations – companies and research entities – gathered at KWR. 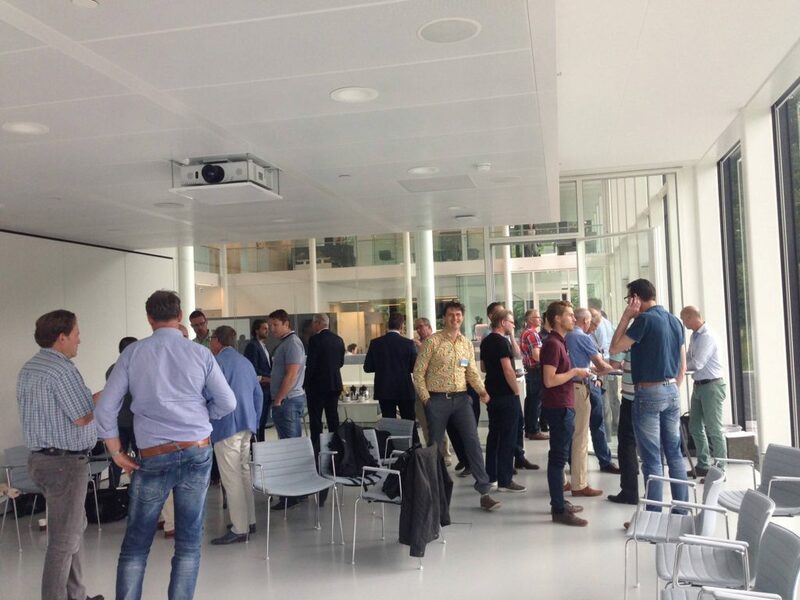 The workshop was a follow-up to the well-attended farewell symposium for Kees van Beek in March. Currently, the main bottle-neck in the installation of wells are the limited possibilities of discharging the water generated by the drilling process into the sewers or surface water. 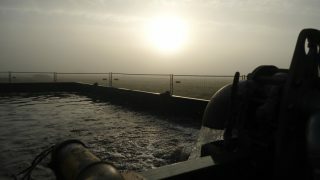 According to Martin van der Schans (KWR), the installation of good (i.e., non-clogging) wells generates a lot of water. 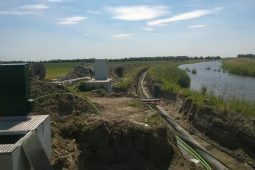 The tightening of water-quality requirements has made it increasingly difficult to obtain a licence for the discharge of (ground)water, particularly in the saline groundwater coastal areas in the western Netherlands. A second impediment is the supply of sufficient clean operational water required for responsible drilling. These impediments can hold back the growth of geothermal energy systems and subsurface water storage systems, or shift the problem, since there will be an extra need for maintenance and discharges during the well’s operational phase. Van der Schans outlined a number of solution paths for limiting discharge water volumes without compromising the quality of water sources. Other experts then explained these solutions further. Benno Drijver (IF) suggested limiting unnecessary lengthy flushing, by differentiating the discharge standards for the various areas. 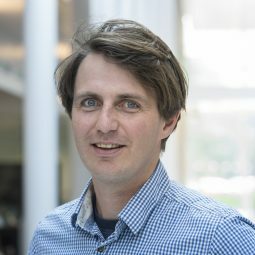 Stef van Harlingen (VHGM) proposed the idea of tackling the problem at the source, by preventing the well from clogging from the beginning, during its installation. Wil van den Heuvel (Installect) and Ton Timmermans (TerraTech) suggested that the design be fundamentally reconsidered using above-ground test set-ups. Niels Hartog (KWR) proposed the possibility of treating the water while it is still in the subsurface, thus getting rid of the iron and discolouration in particular. develop a more fundamental approach for the somewhat longer term: an above-ground test set-up, so that the processes in and surrounding wells can be scientifically researched. 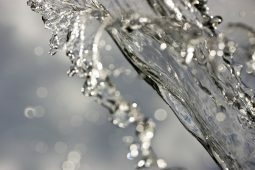 It is anticipated that improved scientific insight will lead to further breakthroughs and innovations in well design, installation and exploitation, which will contribute to a better use and management of the subsurface for the storage of (fresh)water and energy.